Are you making the most of the content your Kiwi technology company produces? A big problem tech B2B companies face when it comes to their online marketing is getting found. More often or not, their pages get pushed to back of a dusty old bookshelf in the vast online Google library of results. Producing high quality content for an audience goes hand in hand with a well-designed conversion path. One cannot survive without the other. Generally, we find that businesses with lower conversion rates suffer due to poorly constructed and unstructured landing pages with issues like passive CTAs (calls to action), generic copy, confusing layout or distractions on the page. Is your page focused around a distinct keyword or phrase? A crucial part of the SEO process is making sure that the page title, meta descriptions, URL and image alt text all reflect this phrase. Sprinkle your copy with long tailed variations of the word that answers any related questions users may have, since it’s easier to rank for these than single word terms (beware of over-use though as Google's spidey-sense is always evolving). Getting these elements in order ensures that your page is now a front runner in the race to the top og Google's search results. 2. Clearly stating your offer. A good rule of thumb is the Blink Test. In the increasingly fast paced world of the internet, visitors use a cursory glance to decide whether your page is worth their time. The first few seconds after they land will determine their conversion. A clear, and concise headline that states your offer, and a sub-headline that tells them how to get it, goes a long way to provide a strong user experience. Include bulleted copy in simple terms, with tons of white-space. This should clearly state the benefits of your offer and why they should click the download button. The internet is a visually oriented platform. Studies show that a landing page will improve it’s performance by 80% if it includes a short video or a contextually relevant image showing the product in use. Any CTAs across the page should stand out from the rest of the content and be actionable with active language like ‘Get this offer now’, ‘Download it here’, ‘Sign up today’. Leave no room for interpretation. This is the make or break feature of your landing page. A long and tedious form that requires a lot of information will drive a potential lead away. Using progressive profiling (i.e. asking for a small amount of information on first conversion, and then progressively asking additional questions at subsequent conversions) for lead capture is a good compromise when it comes to that delicate balance of the convert. Also make sure your forms are responsive, as more than 40% of your visitors will probably be on a mobile device. Use single column layouts with clear cut labels and a bold CTA button. Remember to reiterate the CTA in the form title. where is a good place to start ? Leads for a tech B2B company are usually high-quality ones actively searching for a way to solve a problem they face. Take a walk in their shoes when it comes to designing your conversion path, and proactively answer any potential concerns they may have. In my current experience using the HubSpot CMS, designing a user-centric conversion path has never been easier. The intuitive page templates and SEO check are valuable tools when it comes to creating and launching a content offer campaign. We recently updated our resource pages using these tips and have gained significant strides in our SERP positioning. Our own lead generation strategies are a constant cycle of testing and optimising. This guide can help you come up with ideas to improve your lead-gen by leaps and bounds. 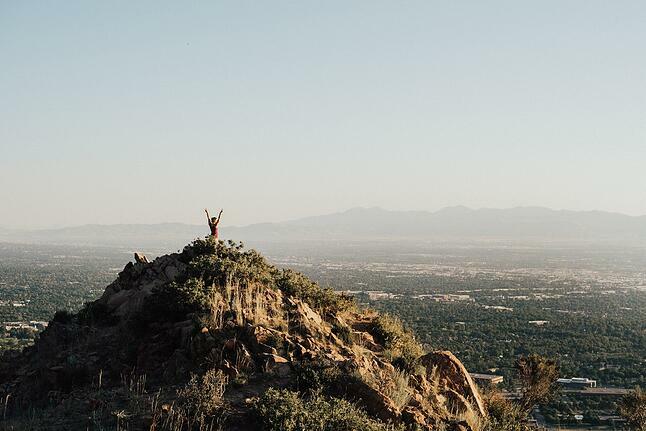 Remember - when you reach the top of that SEO crest, there's always another peak to climb. 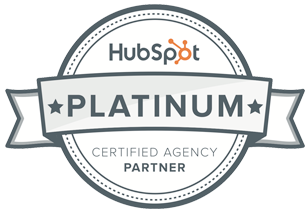 View our HubSpot services here or contact us to speak with a consultant.